We took these photos exactly twelve days ago. Hours before heading off to the hospital and welcoming our baby girl. I kept track of things with the new Daniel Wellington watch ever since. I love that graphically euphoric feeling of shifting gears towards a classic round watch after being committed to my Balenciaga 'box' for so long. 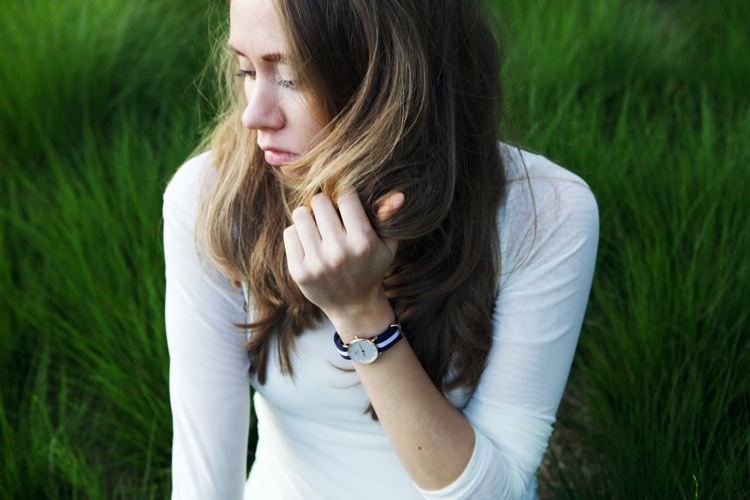 So head over to their website and make good use of SUN-VASILIEVA code (15% off any watches until the 20th of July). Let me know if you treat yourself to something. where was the belly?tiniest ever.